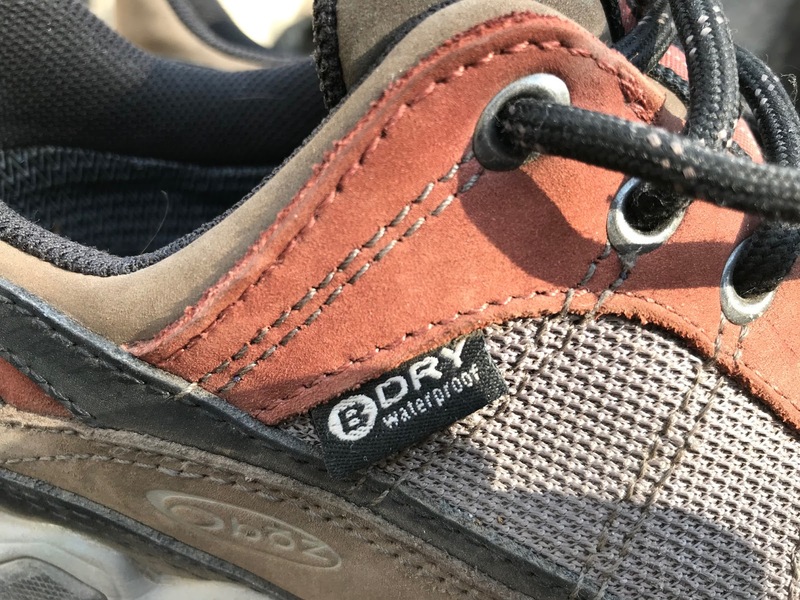 Every time I buy a new pair of hiking shoes, I feel like I'm playing Russian Roulette. I must have peculiar feet because 99% of the time, I try on a pair in the store and they feel great. Then halfway through the first hike, something starts rubbing, I start cursing, and I'm on my way back to the customer service desk to return them the next day. 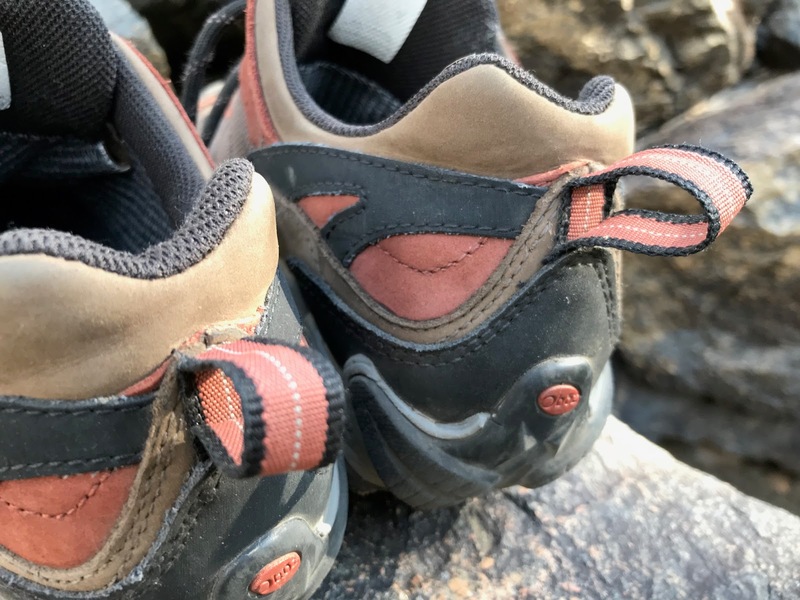 For that reason, for the last several years, I've literally bought the same model over and over again: Merrell Pulses. I've tried Keen, Vasque, LaSportiva, North Face ... you name it. But the Merrells were the only ones that fit me perfectly. Until now. Not too long ago, my old pair of Pulses finally went to that big closet in the sky. I was all set to replace them (for the third time), but discovered that they were discontinued. So, I was forced to put the gun to my head once again. Browsing the shelves, the Obōz Firebrands immediately caught my eye. 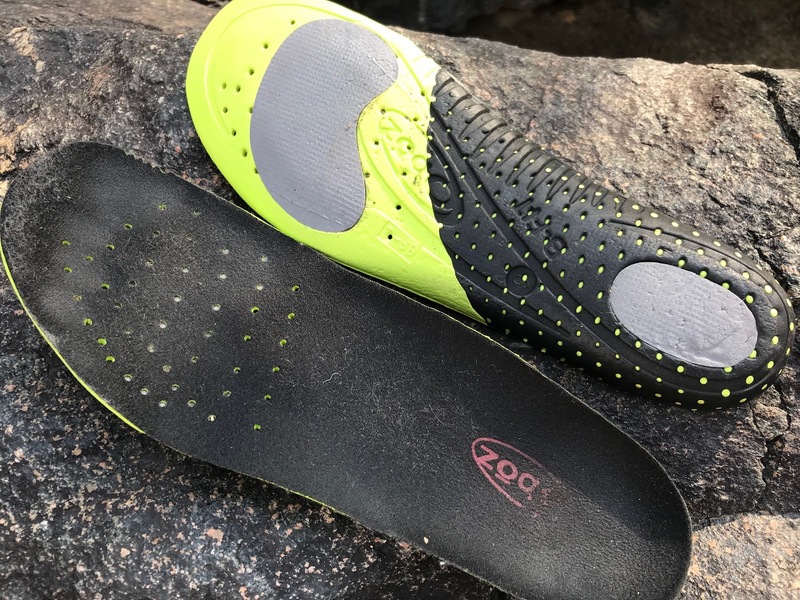 They just looked cool (I'm a sucker for aesthetics) but what I was really after was comfort, grip, and stability. Having never heard of the brand before, I grabbed a sales associate and asked them about Obōz. They gave a rave review so I decided to take a chance. Putting them on for the first time, I was skeptical. Like always, they felt perfect in the store--true to size, no odd materials rubbing anywhere, good flex. But would I have buyer's remorse a mile into the next trail? 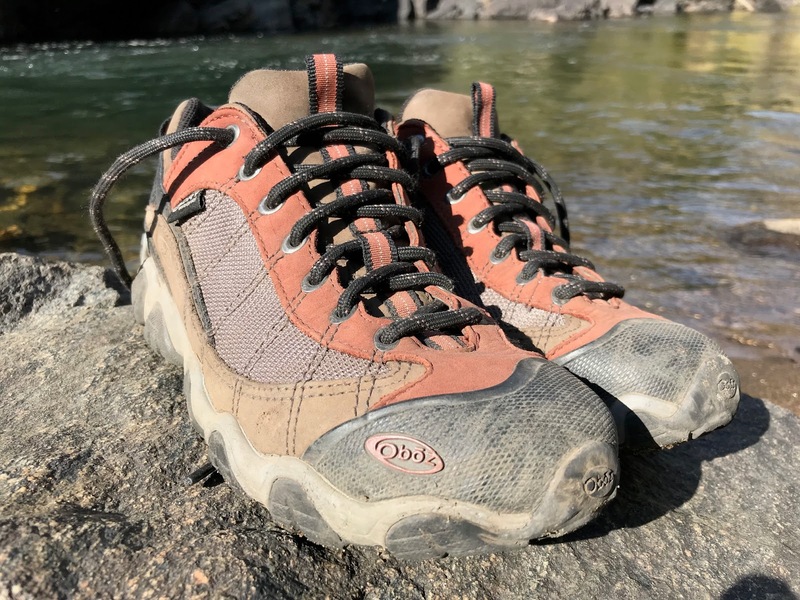 Well after about 6 months of wearing them for hiking, fishing, and around town, I can tell you that these are my new go-to shoes! The Firebrands fit my feet like they were made for me (which anyone who has finicky feet like mine will attest is akin to a miracle). There is no rubbing in the heel and no wobble in the toe box. They're available in both regular and wide. I got the regular width and it's perfect for me. The fit is just the right combination of roomy and snug so they're stable without feeling too tight. The insoles are a mix of low, medium, and high density EVA with a moisture wicking layer that have great arch support and are comfortable all day. They also have a webbed tongue so you can adjust the lacing pattern to really dial in your own comfort and prevent tongue slip. While I've only had them a few months, I can't testify to the long-term durability of the Firebrands. But I've put a fair number of miles on them and have even thrown them in the washer a few times and they still look like new. And knowing what I know of the materials they're made of, I can't imagine there will be any durability issues. 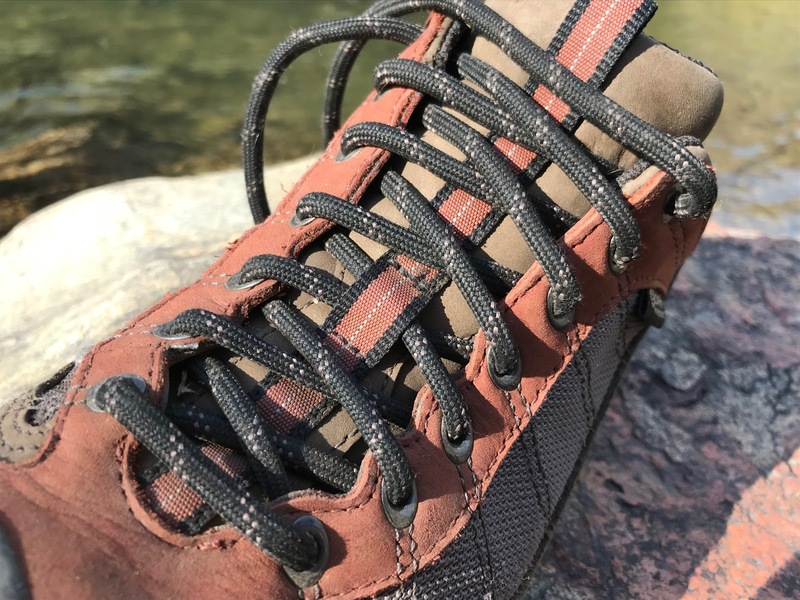 Anyone who has a history with hiking footwear design will hold these in their hands and just know they're solid--quality materials and impeccable stitching throughout. As for waterproofness, that I can vouch for. I've accidentally stepped into the stream more than a few times while fishing and my feet were completely dry. One thing I really like better than my Merrells is the Firebrand's outsole. 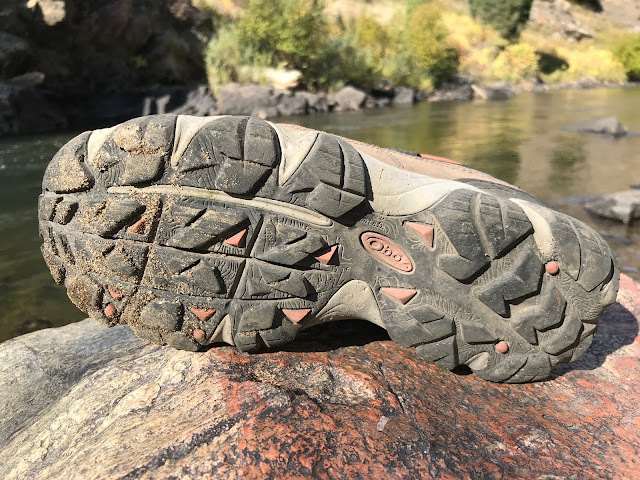 The tread is more aggressive than the Pulses and whatever material it's made from is sticky--meaning it's just as at home on loose gravel as it is on slick rock. And the varying directions of the nubs also prevent lateral slide. 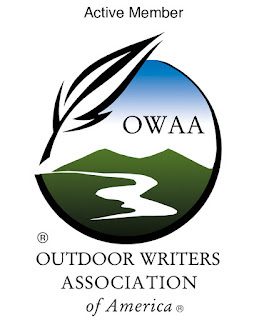 Overall, I feel confident with every step, even on varying terrain. Another advantage over my Pulses is the intrepid toe cap design. 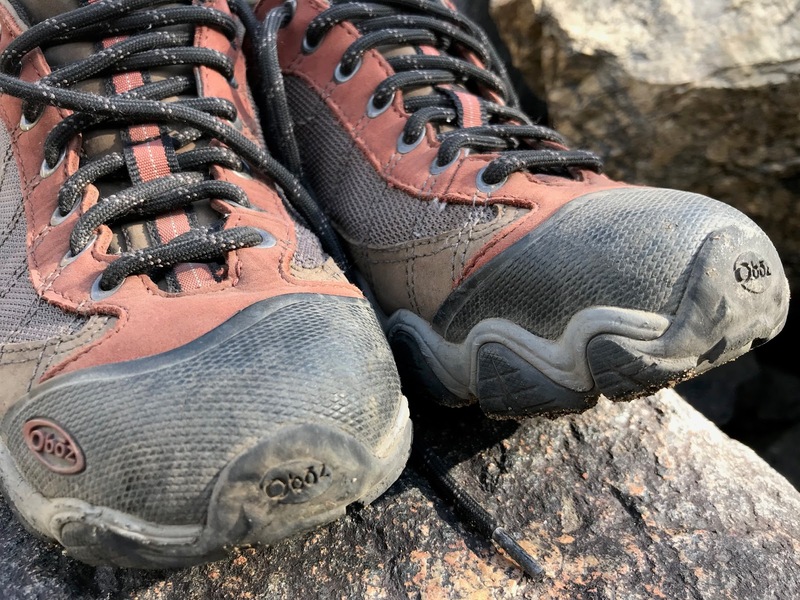 They fend off rocks and boulders fearlessly like a steel-toed boot (but more comfortably). No more stubbed toes! Overall, I couldn't be happier with the Firebrands. In a sense, it was a blessing that the Pulses were discontinued, otherwise, I might never have found them. In fact, I'm thinking about buying a second pair just in case these wear out and Obōz eventually decides to discontinue them. Sometimes, playing Russian Roulette pays off. Well, when you hear that "click" anyway. To learn more about the Firebrands, visit the Obōz website.